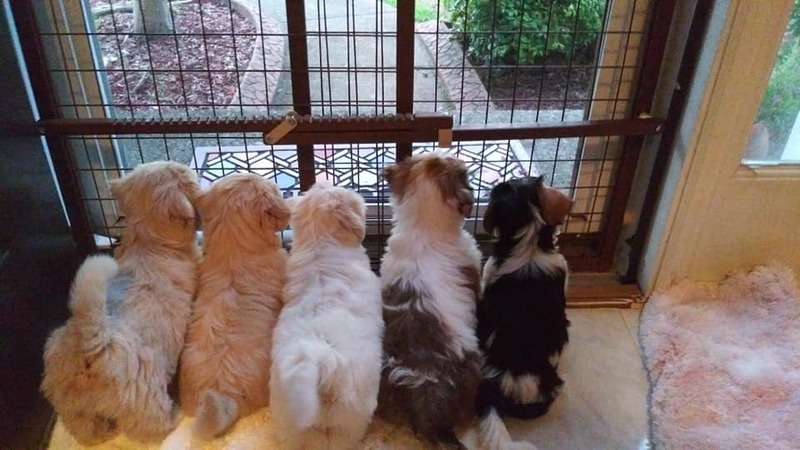 8 week old Highborn Pups From our 'T' litter watching the neighborhood kids run for the school bus. Jesse X Andy Pups Below ~~ All Pups Sold! Puppies Below Are Great Examples Of Puppies Produced at Highborn!